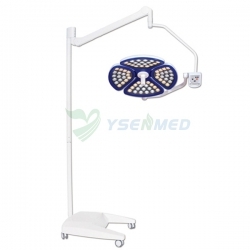 Ø Ideal cold light effects. 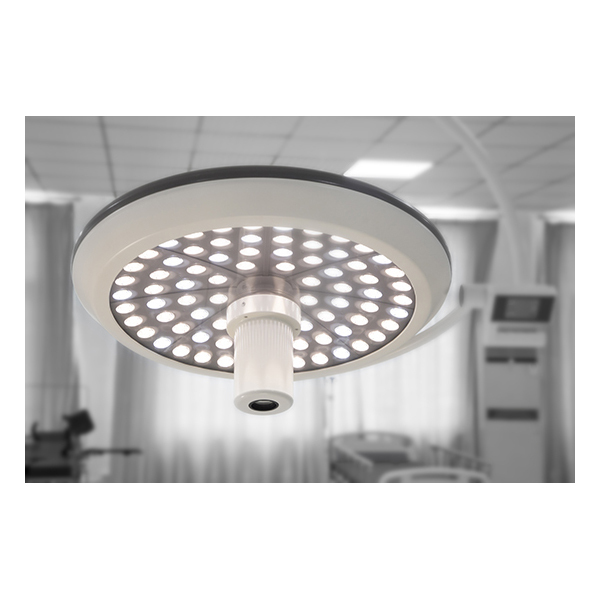 Ø Using the new LED cold light source, energy saving and environmental protection and long service life up to 80,000hours or more. 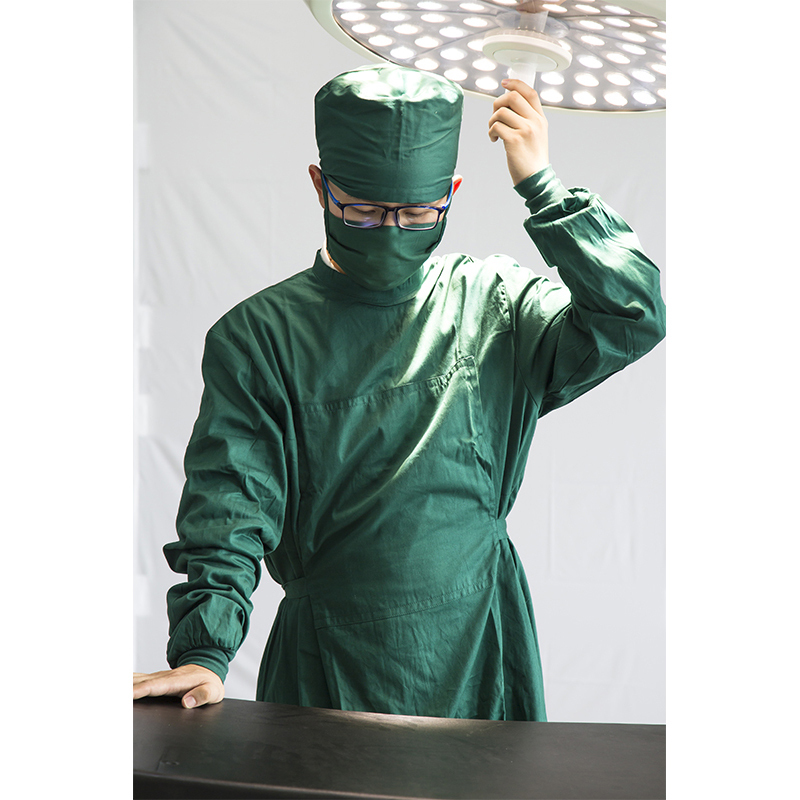 Temperature increase over surgeon’s head 1℃. 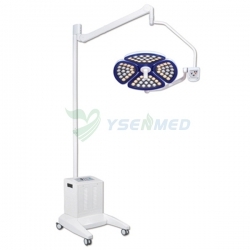 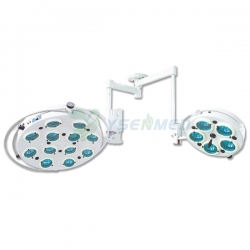 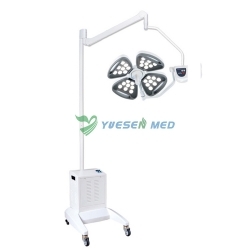 Ø LED do not engender infrared ray and ultraviolet radiation, it doesn’t have the temperature rise and tissue damage caused by halogen shadowless light, can accelerate the wound healing after surgery, and has no Radiation pollution. 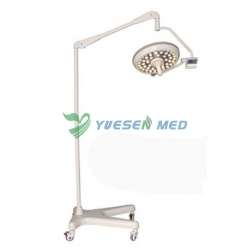 Ø LED color temperature constant, soft, very close to the natural sun light. 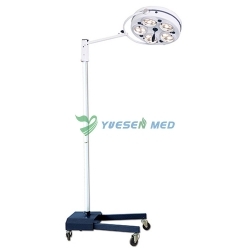 Ø Lamp with the most scientific radian,Multi point light source design, so that more fullness of the light spot,When the lamps are partially occluded, also can achieve perfect shadowless effect. 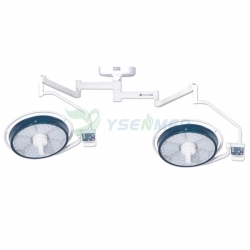 Ø Lamp panel radius of gyration: ≥182cm, the lamp can be pulled to vertical floor, convenient to any angle illumination. 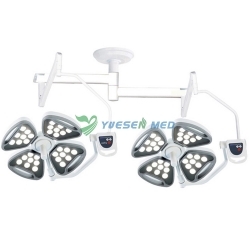 Ø The use of liquid crystal display button control, to meet the needs of the medical staff of different patients with the brightness of the operation. 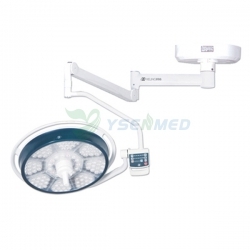 Ø It offers illuminance memory function. Ø Rotating arm, a new type of alloy material is made of eight edge type. 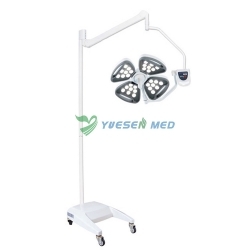 Ø Balanced system using imported arm module, more than 5 group universal joints, every cantilever must has more than 3 joints which can be rotated in 360°, The structure is light, easy to manipulate, accurate positioning, can provide the maximum range of regulation. 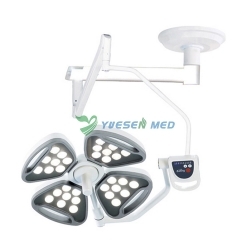 Ø The equipped with fatigue correcting unit and fix position hand handle device, easy to fix position after long time use. 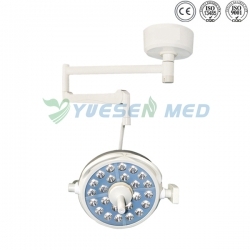 Ø The thickest part of lamp-chimney is not more than 10cm. 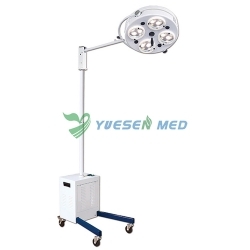 Ø The lamp-chimney is made of ABS, The handle on the central of lamp can be detachable, can take high temperature (≤ 134°C) sterilization treatment, easily adjust, flexible fixed.